The Stanley Cup playoffs are finally here. The 2019 playoffs began this past Wednesday, April 10th, where the top eight teams from both the Eastern and Western Conferences started the race to compete for a chance to take the NHL title. The Flames clinched the Western Conference title last week, looking to end Canada’s 26-year Stanley Cup drought. The Golden Knights will face off with the Sharks this Tuesday at 10:30PM, after going 1-1 in the series. They will be making their second straight postseason appearance this playoff season, after making it all the way to the Stanley Cup Final in their inaugural season last year. Nashville clinched the Central Division title for the second season in a row. They take on the Stars today at 9:30 PM, with Nashville in the lead 2-1. This is the Stars’ first postseason appearance since 2015-16. For the second straight season, the Lightning with have home-ice advantage throughout the playoffs. They finished their regular season with 62 wins, tying the NHL record for the most single-season wins. In round one of the series, however, right now the Blue Jackets are in the lead 2-0. Seeking their second-ever franchise championship, the reigning Stanley Cup Champion Capitals will face off against the Hurricanes, who will be making their first postseason appearance in ten years. Currently, the Capitals have a 2-0 lead in the series. The two teams face off next today at 7:00 PM. After the Bruins defeated the Maple Leafs in seven games in the first round last year, the two teams will have a first-round rematch (si.com). Right now, they are both tied 1-1 in the series. They face off in game three today at 7:00 PM. 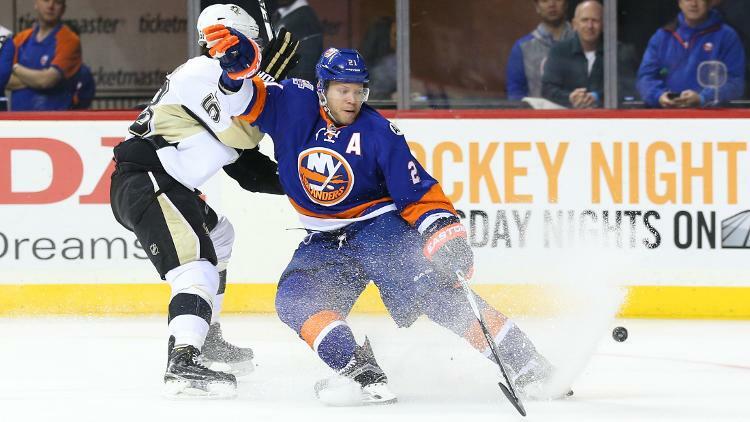 Currently, the Islanders have a 2-0 lead over the 2016 and 2017 Stanley Cup Champions, the Pittsburgh Penguins. The two teams face off next on Tuesday, April 16th at 7:30 PM (nhl.com). Junior Gabby Goodwin is the Editor-in-Chief. Her email is ggoodwin@fandm.edu.